AMB S2M100 VOI31, 15086, 15087, 061. Belt. New. (30) Delta Electronics AFB0512LB Case Fan. Used. Shinano Kenshi STP-42D282 Stepper Motor. Used. Totalronic 192E24M DC24V 0.15A. Working Pull. Ushio PXZ26011-B, IM3248 Board. Used. U18PA-EN601978G. Xerox 0110250775 Paper Tray 1/2 Control PWB Board. Used. Xerox 105K28873B Power Supply Board. WFX-1 SWC. Used. Xerox 110B995949, 110A1083898 Board. Used. Xerox 130K83320 0136 PS-XR22 Copier Sensor With Wire. Used. Xerox 140E60921-REV A, Riser Board. Working Pull. Xerox 160E02890 Rev A. Motherboard. Used. Xerox 58761260 Display Screen. 960K1384. Working Pull. Xerox 622S00153, 622S153 Gawain SBC PWBA WC 5632 Xerox 960K4609624500080, M4T28-BR12SH1 Board. Working Pull. Xerox A/W 160E00081-Rev A, Board. Used. Xerox Copier Element UXFL-10YG36K. Used. Xerox FAX1KIT Fax Board, RJ11C, 84K36960. Used. AMP 0630 Connector. P and P2. KNT Tube 600 V. Ricoh. Belkin F1B024-E Data Transfer Switch. New. Canon Control Panel. OEM. Refurbished. Canon FG6-7925 ImageClass Laser Scanner Assembly. OEM. Canon FG6-9812 Image Processor PCB Assembly Board. Canon FG6-9860 FG3-2279 Printer Controller Board. Canon FH1-3444 RJ-11 Board. 2 Ports. Refurbished. OEM. Canon FH3-2639 DC Power Supply PCB. 120V. OEM. Canon FH6-1921 24V DC, 0.15A. Printer Internal Fan. Canon HA1-6633-000 Sheet. New. Canon HA1-7351-000 Separation Roller. New. Canon HA1-7352-000 Sub Seperation Roller. New. Canon HB1-2313-000 Torque Limiter, Clutch. New. OEM. Canon HB1-2327-000 Document Feeder. Upper Feed Roller. Canon HB1-2334-030 Control Panel Cover, A. New. OEM. Canon HB1-2398-000 Paper Feed Gear. New. Canon HB1-2462-000 Torque Limiter. New. Canon HB1-4380-000 Sheet. New. Canon HG5-0140-030 Separation Roller Assembly. New. OEM. Canon HG5-1405-000 Paper Feed. Paper Pickup Roller. Canon K30080 AC Adapter. AD-320. OEM. Refurbished. Canon NCU PCB Assembly. FM2-2796-000, HG1-4365-000. Daiken DSTC-40, DC24V, 15W. Step Spring Clutch. DecisionOne NS-68063 O Ring. New. DecisionOne NS-68129 Kit. New. DecisionOne NS-68130 Kit. New. DecisionOne NS165463 Pickup Roller. New. DecisionOne NS68128 Kit. New. Dell 0GG648 HVPS, High Voltage Power Supply. New. OEM. Dell 0H4919 110V Fuser Assembly LaserJet Printer. Dell 0J4467 Laser Printhead. 1700 1710. Refurbished. Dell 12-00808-01D Bono Op Panel 7-Pin. Refurbished. 4.5". Dell 1700 1710 1700n 1710n Printer W5389 D4283. Dell 2130 2130cn Main Network Board Assembly M789C, 4561D. Dell 2130 2130CN Laser Scanner Assembly X848D H595D. Dell 2130cn 960K 43211 PWBA Fan Board. Refurbished. Dell 2130CN Front Door Interlock Switch Y565D. Dell 2130cn Fuser 330-1426, P241D, M266D. Used. Dell 2130cn Power Button With Wires. ZFR31. Refurbished. Dell 2130cn Power Supply LVPS Power Supply Board. Dell 2130CN Power Supply, Voltage 105K23681 Dell 2130cn Series Formatter Controller Board 0D497F. Dell 2130cn WLA3310 Wireless Printer Adapter. K871C. Dell 3100CN Laser Printer. Machine Control Unit, (MCU) P5281. Dell 960K3264 PWBA Eeprom (HLF) For 2130cn Laser Printer. Dell AVC C6025S24H DC 24V.16A Brushless Fan. Dell BH55FT19-01 Servo DC24V/19.6W Main Motor Gear Assembly. Dell C5491 Bias Transfer Retractor Motor. (BTR) Dell F5040 Developer Rotor Motor. Refurbished. Dell Fuser 310-8728, KX126, 3000cn, 3100cn, 3010cn. Dell H4930 Paper Exit Guide Assembly. Dell Image Unit Drum Reset Chip. Refurbished. Dell Laser Printer BH60AT10-02. Main Motor Assembly. Dell LED Assembly Erase Board 960K24880. Refurbished. Dell M5594 3000CN, 3100CN Rotor Controller Board. Dell N5949 3000CN 3100CN NIC Card. Dell N5951 3000CN 3100CN Fuser Controller Board Assembly. Dell P4784 3010CN 3000CN 3100CN Low Voltage Board ETXFX501AAC. Dell P4866 3000, 3000CN, 3100, 3100CN Drum. OEM. Dell Xerox 105K20951 3000CN 3100cn HV Power Supply. Epson / Okidata 51228001 Change Gear. New. Epson 06-08242-11-S Detector Plate. Ribbon Cable. New. Epson 1004952. New. 16 Spur Gear. Epson 1005172 Bushing. Epson 1005225 Spur Gear. 34.5. New. 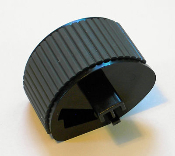 Epson 1005478 Platen Knob. New. Epson 2003028 Detector. New. 06-78918-11. Epson 2135970-00 Card. Working Pull. Epson Ariston 2121905-02 CA29 I/F-B Main Fax Board. Used. Epson C752052000 Motor. New. 139127A. Epson C753053000 Motor. New. H28F088. Epson CA73 Main Printer Board. Working Pull. Epson CB20 PNL-C Assembly: 2139499-00 Board. Used. Epson DFX-8500 Resistor. Refurbished. Epson Dot Matrix Printer Module DPN-237 (191/2191) SW. Epson E53A292 Motor. New. 2 Wire. Epson EM-19 Motor. New. N30H281. Epson F336554020 Platen Knob. New. Epson K33D077 Motor. EM-7. New. 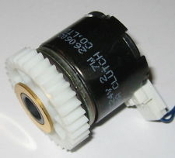 Epson KL516 9C03 Motor. SA3-5507. Refurbished. Epson L33G172 Motor. New. EM-8. Epson L34B26A Motor. New. EM-2. Epson LQ1050 Platen Knob. New. Epson Q12A062 Motor. Refurbished. Epson RS445PD16175BR Motor With Pulley with Wires. Used. Epson SM-E001B Motor. New. C3D06. Epson SM-E005 Motor. Q14K295. New. Epson SM-E48B Motor. C3D25. New. Epson UMT-SZ. ASSY. 2126122 00. Working Pull. Fuji Electric EK2Q-N21ZR Circuit Breaker and Power Plug. Fujitsu B02B-1500-D011A Operation Control Panel. Fujitsu B30L-2980-0001A M3040 V-Belt. New. Fujitsu B86L-1320-0115 Sensor. AMP-50A. New. Fujitsu D860-1144-V225 Spacing Motor. DX2300. Fujitsu D860-1144-X271 Paper Guide. New. Fujitsu D860-1157-T145 Carrier Cable Assembly New. Fujitsu D860-1157-X552 Platen Cradle Belt. New. Fujitsu Paper Feed Sensor. D860-1156-V145. HCN-73. Fujitsu Ribbon Shield D860-1157-V415 Ribbon Mask. DL5600. Fujitsu Unipolar Stepper Motor. 23LM-C349-01. Green Eco S2M474 B9I11, 23168, 082. New. 1/8". (30) Green Eco S2M92, VOI33, 12059, 12060. New. 1/8" Wide. (30) H081-2854 Assembly. New. Hitachi 3J84G6046-A Board. Working Pull From a Ricoh Printer. HP RF5-2703-000. New. Tray 1 Separation Pad. HP 00061903 00 OfficeJet Pro Printer Belt. Working Pull. HP 0950-3807 Power Supply. OEM. Refurbished. HP 0950-4466 Printer Power Adapter. Refurbished. HP 0957-2146 AC Power Adapter. Refurbished. HP 0957-2398 AC Power Adapter. Refurbished. HP 28644-60002 HP Serial/Parallel Module. New. HP 33491-69011 DC Controller Board. LJlll Refurbished. HP 5181-3588 LaserJet 1100 Feeder Seperation Pad. OEM. HP A7F64-80058 Officejet Pro Control Panel / LCD Display. HP C2024-80001 1MB Memory Module for 4L. New. OEM. HP C2124-80008 Encoder Strip. Emulsion Side. New. HP C2162-60006 Carriage Motor Assembly. New. OEM. C4578A. HP C3129-60001 Laser Jet 4 and 4+ Postscript Level 2 SIMM. HP C3540-60234 Pick-Up Roller Assembly. New. HP C4118-40002 New LaserJet 4000 Control Panel Overlay. English HP C4136A-R 8MB Memory. New. HP C4214-40029 Control Panel Overlay. English. New. HP C7845A-R 32MB SDRAM 100MHz. Refurbished. OEM. HP C8654-60007 Scanner Assembly. Refurbished. 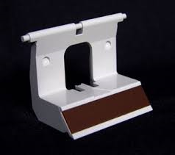 HP Canon RB2-6221-000 Paper Feed Component. Separation Arm. HP Canon RG5-0669-040 Roller Assembly. New. HP CE794-80101 Formatter Board. Working Pull. HP CF147-60101 Rev A. Color Touch Screen Control Panel. HP CF153-60001 Formatter Main Logic Board Refurbished. 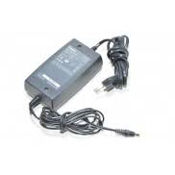 HP CM751-60193 AC Power Adapter. Working Pull. HP CM751-80167 Paper Jam Sensor. Working Pull. HP DGQ8C8BRA 24V DC HP RH7-1169 Printer Motor. New. HP E93938 Officejet Pro Power Light LED Indicator Board. HP E93938 Power Button Board. Rev A. V30, 94V-0. Used. HP Farad Mini USB Board REV A. Working Pull. HP HSU-07M HDK Humidity Module Humidity Sensor. Used. HP JetDirect 175x External Print Server. Refurbished. J6035A. HP JetDirect Card. Internal Print Server. New. Model: J2550B HP LaserJet RY7-5050-020 Rubber Pad Left Right NEW. OEM. HP Memory Board For LaserJet llP lll lllD lllP and Plotter 7550B HP Officejet Pro A7F65-80001 Main Formatter Circuit Logic Board. HP OfficeJet Pro CM751-60019 Carriage Motor. Working Pull. HP OfficeJet Pro CM751-60041 Duplex Control Board. Working Pull. HP OfficeJet Pro CM751-80016, HPDC Sensor Board. Used. HP OfficeJet Pro CN557-80004 Chianti / Syrah Door Sensor. Used. HP Q7805-69003 Network Formatter Board. NIC Card. 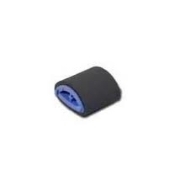 HP RA1-3851-000 Pick Up Roller. New. RA1-3851-000CN. HP RA1-7352-000 Roller. New. HP RB1-1411-000 Pick up Roller. New. HP RB1-2126-000 Pick Up Roller. NEW. OEM. HP RB1-2126-PN Pickup Roller. New. OEM. HP RB1-2133-000 Paper Out Sensor Arm. New. OEM. 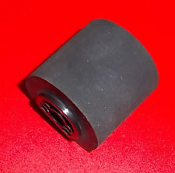 HP RB1-2205-000 Pickup Roller. Oval Shaped. NEW. OEM. 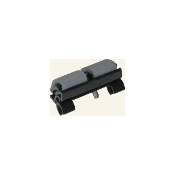 HP RB1-2205-CLN Pickup Roller Tray. HP5. New. HP RB1-2273-000 Lower Seperation Roller. New. OEM. HP RB1-2299-030 Delivery Roller. Double Roller. New. HP RB1-2632-020. New. OEM. Pickup Roller. Oval Shaped. HP RB1-2650-020 Pickup Roller. New. OEM. HP RB1-3368-000 HP L/J 4l/4p/4m Pickup Roller. New. OEM. HP RB1-3477-000 New. LJ4+ Pickup Roller. New. OEM. 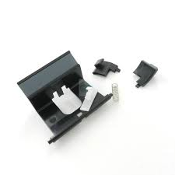 HP RB1-6427-000 Toner Cartridge Stop. Black. New. OEM. HP RB1-6581-000 Roller, Second-Pass, LJ 5SI/8000/240. OEM. HP RB1-6730-000, 5SI Tray Roller. New. OEM. HP RB1-7206-000 Arm Holder. New. HP RB1-7911-000 Pick-Up Roller For HP LJ 5 Series. New. HP RB1-7983-000 Pick Up Roller. NEW. OEM. Pick up Roller. HP RB1-8865-CLN. New. D Pickup Roller. HP RB1-8957-000 Pick UP Roller Tray 2 and 3. New. HP RB2-0545-000 Pickup Roller Shaft. New. LJ 4500. 4550. 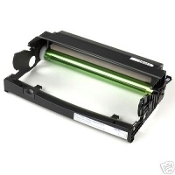 HP RB2-0717-000 Tray 1 Pickup Roller. New. HP RB2-0734-000 Color LaserJet 4500 4550 Separation Pad. New. HP RB2-0744-000 Paper Feed Tray 1, Pickup Roller. New. HP RB2-1634-000 Paper Pick Up Roller. New. OEM. HP RB2-1807-000 HP 5000 Tray 2. Paper Sensor Flag. New. HP RB2-1820-000 Pickup Roller. LJ 5000, LJ 5100. New. HP RB2-1820-020 Pick Up Roller. NEW. OEM. HP RB2-1821-020 Pick Up Roller. New. OEM. LaserJet 5000. HP RB2-2400-000 Covers the Left Duplex Access Panel. New. OEM. HP RB2-2835-000 Separation Pad and RB2-6348-000 Separation Pad. 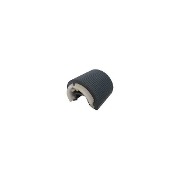 HP RB2-2850-000 Roller Bushing. New. 10 Each. Face Down Upper. HP RB2-2891-000 Pickup Paper Roller. New. OEM. HP RB2-3003-040 End Plate at Back of Tray 2 Paper Cassette. HP RB2-3008-000 Separation Pad. New. OEM. HP RB2-3410-000 LaserJet 3100 Paper Output Support. New. OEM. HP RB2-3912-000 Feeder Roller. New. 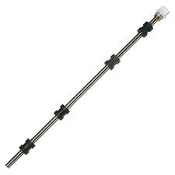 HP RB2-3930-000 Pickup Roller Shaft. New. HP RB2-3944-000 Leaf Spring Shaft. HP RB2-4026-000 Paper Pickup Roller. New. OEM. HP RB2-5407-000 Paper Support Tray. New. HP RB2-5412-000 3200 Delivery Tray. New. OEM. C2067200. HP RB2-5423-000CN Printer Paper Output Tray. New. OEM. HP RB2-5434-000, RB2-5434, Face Up Cover. Refurbished. HP RB2-5437-000 LJ 3200 ADF Paper Pickup Tray. New. HP RB2-5485-000 Dimm Lift-Up Cover for Memory Dimm Access. 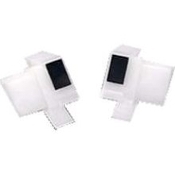 HP RB2-5653-000 Restraining Strap Tape Cover. 9000 Series. HP RB2-6304-000 Pickup Roller Assembly. NEW. OEM. HP RB2-6348-000 Seperation Pad. New. LJ 2100. HP RB3-0160-000 Paper Pickup Roller. 'D' Shaped. NEW. OEM. HP RB5-1845-000 PCB Tray Sensor. Refurbished. HP RC1-0939-000. 2300/2400/3500/3700 Separation Pad. New. HP RC1-0945-000 New. MP/Tray 1. Pickup Roller. OEM. HP RC1-0954-000 Separation Pad. New. OEM. HP RC1-1148-000 Right Side Swing Lock. New. HP RC1-1246-000 Right Arm Drum Lock. White. New. HP RC1-1535-000 Pick-Up Roller. Tray Pickup Roller. New. HP RC1-1622-000 Left Drum Lock Arm for Toner Cartridge. New. HP RC1-3350 Swing Gear Plate Assembly. New. *** HP RC1-4158-000 Dust Cover, Legal, Tray 2, LJ 2400. New. HP RF1-1145-020 Separation Pad. New. OEM. HP RF5-0041-020 Roller. New. OEM. RF5-0041-020CN HP RF5-0081-000 Duplex Pickup Roller. New. HP RF5-0343-CLN Seperation Pad 1 HP 4. New. HP RF5-0349-CLN Transfer Roller With Gear HP4. New. HP RF5-1076-020 Upper Roller Delivery. New. HP RF5-1076-CLN Upper Delivery Roller HP 4. New. HP RF5-1077-030 Lower Delivery Roller Assembly. New. HP RF5-1077-CLN Lower Delivery Roller. New. HP RF5-1366 Laser Jet 4+ Control Assembly. Used. HP RF5-1412-000 LaserJet Transfer Roller. New. HP RF5-1455-000 Tray 1 Manual Separation Pad. New. HP RF5-1834-000 Roller Feed. New. OEM. RF5-1834-000CN. HP RF5-1834-PN Feed Roller. New. OEM. HP RF5-1835-000 Pickup Roller Assembly. NEW. OEM. HP RF5-1885-000 Roller. New. 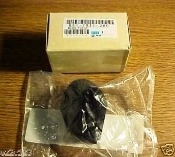 OEM RF5-1885-000CN. HP RF5-2092-020 HP Color Laserjet 4550 Paper Feed. HP RF5-2110-000 Seperation Pad, Tray Left. New. HP RF5-2111-000 Case, Seperation Pad, Tray Right. New. HP RF5-2484-000 Pickup Roller Assembly Shaft. HP RF5-2490-000 LaserJet Roller. New. HP RF5-2490-CLN Roller. New. HP RF5-2556-000 Positioning Pin Metal Locating Pin. HP RF5-2634-000 Feed Roller, NEW. OEM. 500-Sheet Feeder. HP RF5-2635-000 LJ Paper Pick Up Roller Arm. New. OEM. HP RF5-2636-000 Pick-Up Roller Assembly. New. OEM. HP RF5-2820-020 Left Separation Sub Pad. New. OEM. HP RF5-2882-000 Roller Face Up. Refurbished. HP RF5-2886-020 Paper Feed Component RF52886020. HP RF5-3114-000 Printer Transfer Roller. OEM. NEW. HP RF5-3272-000 Separation Pad Assembly. New. OEM. HP RF5-3338-000 Separation Roller Feed. NEW. OEM. HP RF5-3338-PN Separation Roller Feed. NEW. OEM. HP RF5-3750-000. Seperation Pad. New. HP RF5-3750-020 Seperation Pad. New. OEM. HP RF5-4258-000 Separation Pad, Tray 2. New. HP RG1-0718-000 Paper Control Board. New. RG10718000. HP RG1-0906-000 OEM, New. High Voltage Control Cable Assembly. HP RG1-1771-030 LX Motor Assy Scanner New. HP RG1-1777-100 Drive Gear Assembly. New. LaserJet 3P. LJ3P. HP RG1-1792-150 Pick Up Roller Assembly. New. OEM. HP RG1-2067-000 Dual Cable Assembly. DC Controller. HP RG5-0141-000 Roller Transfer LJ 3SI 4SI With Gear. New HP RG5-0457-100, Gear Cluster, Drive Train Assembly.New. HP RG5-0512-000 Laserjet LJ 4 4+ 5 5M Paper Control Board. HP RG5-0515 InterConnect Board. Refurbished. HP RG5-0682-030 Lower Roller Assembly for Top Cover Output. HP RG5-0683-020 Upper Roller. Shaft with 4 Rollers. New. HP RG5-1844 PC Board, DC Controller. LJ 5SI Series. HP RG5-1845-000 Paper Size Sensor Board. LJ 8000, LJ 8100. HP RG5-1875-000 HV Control Cable. New. RH7-5123-010. HP RG5-1951-030. New. OEM. Paper Pickup Roller Assembly. HP RG5-2642-000 LaserJet 4000-4050 Registration. Feed Sensor. HP RG5-3486-040. New. OEM. Paper Pickup Roller Assembly. HP RG5-3718-000 Tray Pick Up Roller. New. OEM. HP RG5-4128-000 Laserjet Paper Feed Component. New. OEM. HP RG5-4156-000 Cassette Pick Up Gear Assembly. NEW. OEM. HP RG5-4582-000 LaserJet Printer Paper Guide Plate Assembly HP RG5-4585-020 Paper Pickup Shaft. Drive Clutch Gear Assembly. HP RG5-5281-000 Laser Jet 4000 4050 Separation Pad. New. HP RG5-5372-000. Control Panel. LJ 4000, 4050, 4100. **** HP RG5-5391-000 Input Tray Assembly. Refurbished. 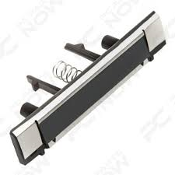 HP RG5-5392-000 Hinge Support Assembly. New. HP RG5-6880-000 Laser Scanner Assembly. Refurbished. HP RG9-1310-000 Separation Pad Tray 2. New. OEM. HP RG9-1485-000 Separation Pad Assembly. New. OEM. HP RG9-1529-000 Tray Pick-up Roller. New. OEM. HP RH7-1570-000 LJ 4200/4300 Main Motor. M101. New. OEM HP RH7-5071-000 LaserJet 4+ Printer Tray 2 Pick Up Solenoid. HP RH7-5075-000 Pickup Solenoid SL2 RH75075. Refurbished. HP RH7-5139-030 Solenoid. New. OEM. RH7-5139-030CN. HP RH7-5203-000 LJ 5Si/WX Electromagnetic Clutch. New. OEM. HP RH7-5227-000 Pickup Roller Solenoid. New. HP RK2-7125 Board. 94V-0. Working Pull. HP RL1-0019 Paper Pick up Roller. New. HP RL1-0019-000 Pick Up Roller. New. OEM. HP RL1-0303-000 LaserJet Paper Pickup Roller. 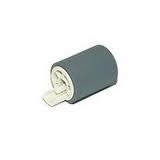 HP RM1-0037-000 Paper Feed Roller. New. OEM. HP RM1-5284 Misregistration Sensor Assembly. Working Pull. HP RM1-5285 Control Panel Assembly. Working Pull. HP RM1-5295 Color Misregistration Sensor Assembly. Used. HP RM1-5416 Fuser Drive Motor Assembly. Working Pull. HP RM1-7038 Board with Connecting Wire. Working Pull. HP RM1-8005 Board. Working Pull. RK23821. HP RM1-8030 DC Controller PCB Assembly. Working Pull. HP RM1-8031 High-Voltage Power Supply Board. Used. HP RM1-8032 Driver PCA Assembly. Working Pull. HP RM1-8316 Fuser Motor Assembly. Working Pull. HP RM1-8704 DC Controller Board. Refurbished. HP RM1-8705 LaserJet M251 High Voltage Power Supply. HP RM1-8706 LaserJet PCA Driver Assembly Board. HP RM1-8709 LaserJet Pro 200 Fuser Power Supply. HP RM1-9012 Color LaserJet Low Voltage Power Supply. HP RM1-9240 1CE Laser, Scanner Assembly. Refurbished. HP RM2-8022 Low Voltage Power Supply. RM2-8025. HP RY7-5005-000 Gear Kit LJ 5L OEM New. RY7-5005-000CN. HP RY7-5008-000 Laserjet 3100 Separation Pad Kit. New. HP RY7-5051-000 New Clutch Kit. Connects to Gear Drive. HP SDGOB-0892 Wireless Card. Working Pull. HP Separation Pad. 5969-8695. 5L, 6L, 3100, 3150. New. HP WC4-5139-000 Mirco Switch. Top Cover Interlock Access Switch. 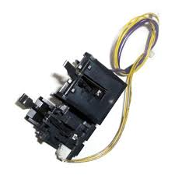 HP WC4-5150-000 Toner Cartridge Cover Switch. New. OEM. HP WG8-5624-000 Photo-sensor TLP1241 Sensor flag activated HP-Compaq RG5-2791-000 6P PICK UP Roller Assembly. New. OEM. IBM 1053079 Matrix 4230, 4232 Print Head Latch. IBM 300448-31 Tractor Belt Replacement Kit. New. IBM 310364 Belt. New. 0310364. IBM 6846142 Carrier Belt. New.